It’s not even the end of November so I make no apologies for not being immersed in the Christmas spirit quite yet. 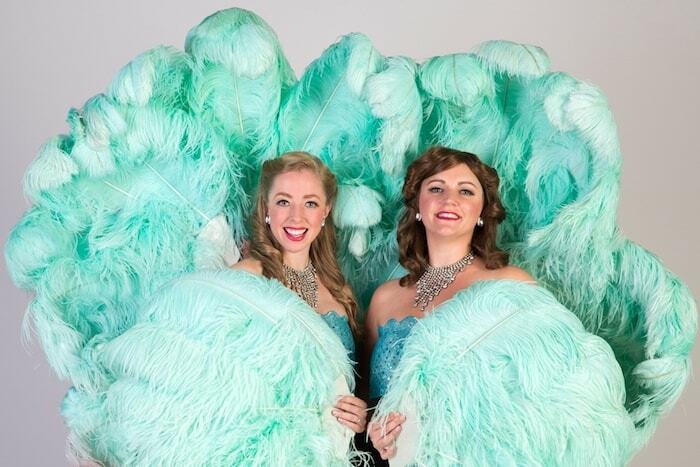 This week though, we’ve been to see the first ever showing of White Christmas at the Bristol Hippodrome, so there’s a kickstart into the festive season right there! Based on the Paramount film, White Christmas tells the story of two army buddies, Bob and Phil, who have a successful song and dance act after the 2nd World War. With romance in mind, the two follow a duo of beautiful singing sisters to a Christmas gig at a skiing lodge in Vermont, which just happens to be owned by their former Army commander. They soon realise they’re the only guests due to the lack of snow! How will they help the General bring in the crowd? Will love blossom? Will they make it a Christmas Eve to remember? Or do they need to send for the Army? This musical features Irving Berlin hits like ‘Blue Skies’, ‘How Deep is the Ocean?’, ‘Happy Holiday’, ‘Sisters’ and of course the title song ‘White Christmas’. The boys were super excited about having our very own box for the first time. They’ve been asking to go in one for ages, but as the allocation of seats is out of our control, I wasn’t very hopeful. Trainboy’s shortsightedness means he can’t see the performers faces even with good seats half way back in the stalls, so our contact at the Hippodrome kindly made a special request and managed to secure a side box for us. Wow, what a difference. Being higher up seemed to make us very close to the action. As we sat on normal chairs we had much more leg room than normal, which is handy for someone as tall as me. It did feel very special up there – in fact as we went in we were advised to practice our royal waves! Being higher up also gave us a good view of the orchestra. Trainboy has always been a musical child and couldn’t resist emulating the conductor. Although it was a lovely experience, I would say there are a couple of downsides to having a side box: A fair bit of the action was hidden from us as it took place towards the rear of the stage on the same side as us; also I didn’t feel quite so connected with the show as most of the action is aimed directly in front of the stage. With an ensemble of over 50 performers and a dynamic live orchestra, this is a big production. A huge amount of work must have gone into learning the group dance routines – and there were plenty of them, including an impressive tap dance number. Grace MacDonald who played one of the sisters, Judy Haynes, displayed some impressive dancing skills. There were some beautiful singing harmonies. I particularly enjoyed Bob and Betty’s ‘Count Your Blessings Instead of Sheep’. I found Vicky Hartland’s voice quite beautiful throughout. My boys enjoyed Phil’s cheeky character and my Mother was very impressed with Faye Banks as Martha Watson. If you’re feeling a bit ‘Bah humbug’ a trip to the Hippodrome might be just what you need. And you never know, you might even spot some snowflakes while you’re there. 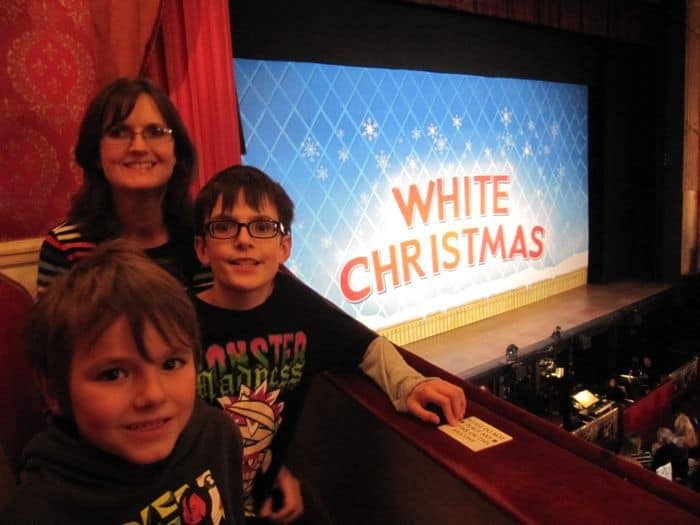 Disclosure: We received tickets to White Christmas for the purposes of this review. Well done everyone at bloc, many happy years were spent in their shows. Sounds like it was lots of fun. Next post: Swish your Clothes for Charity!